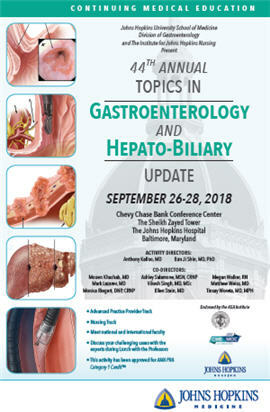 This activity will provide an update and comprehensive overview of a wide range of topics of interest to the practicing gastroenterologist, surgeon, family physician, internist, physician assistant, nurse and nurse practitioner. The understanding of the pathophysiology, natural history and treatment of diseases of the digestive tract and liver is progressing at a rapid pace. This course will provide practitioners who care for patients with digestive diseases with an in-depth knowledge of recent, cutting-edge advancements in Gastroenterology and Hepatology. Moreover, practitioners will be informed about new therapies and treatments on the horizon in order to be prepared to inform patients and field their questions. An important feature of this course is its case panel discussions. One of our frequent challenges is making practical use of knowledge. Therefore, the course format will include case presentation discussion sessions with a multidisciplinary panel of experts from medical, endoscopic and surgical disciplines, discussing diagnostic and management controversies. Among areas of focus for these panels will be inflammatory bowel disease, esophageal disorders, gastrointestinal neoplasia, motility and liver disease, including liver transplantation. During the lunchtime session, attendees will have the opportunity to discuss controversies specific to their personal practices with course faculty. This activity is intended for gastroenterologists, gastroenterology fellows and advanced fellows, surgeons, hepatologists, family practitioners, internists, PAs, nurses, nurse practitioners and other allied health professionals with an interest in gastroenterology. A $50 late fee applies to registrations received after 5:00 p.m. ET on September 21, 2018. A handling fee of $50 will be deducted for cancellation. An additional fee may apply for cancellation of other events, including workshops and social activities. Refund requests must be received by fax or mail by September 21, 2018. No refunds will be made thereafter. Transfer of registration to another Johns Hopkins conference in lieu of cancellation is not possible. Discuss the multi-disciplinary approach to management of obesity. 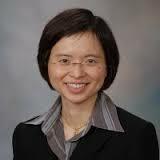 Describe the latest approaches to treat fatty liver disease. Discuss the multi-disciplinary approach to management of esophageal diseases. Discuss the management options for pancreatic diseases. 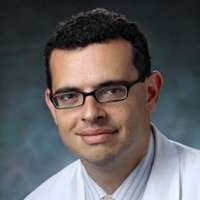 Describe the latest therapies for inflammatory bowel disease. This 26 contact hour educational activity is jointly provided with The Institute for Johns Hopkins Nursing. The Johns Hopkins University has approved this activity for 26 contact hours for non-physicians. Can Imaging Differentiate Autoimmune Pancreatitis from Pancreatic Cancer? Who Should I Refer for a Total Pancreatectomy with Islet Autotransplantation? Eosinophilic Esophagitis: State-of-the-Art in Medical Management - Biologics? Innovations in Endoscopy: Where Do We Go From Here? What is the Best Approach to Severe UC?